A portrait photographer is always looking for interesting subjects with a great back story. 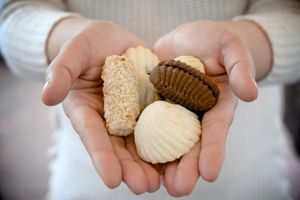 I recently stumbled upon some homemade cookies for sale at a local coffee shop and reached out to see if I could help with a few product shots. 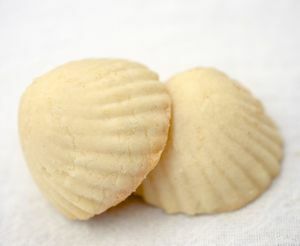 I soon discovered the great back story behind the cookies. We arranged for me to stop by a local farmer's market to take some photographs. 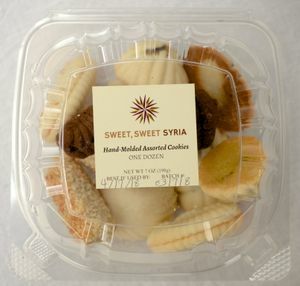 I started by taking pictures of the Sweet Sweet Syria cookies, product shots for their website and marketing. 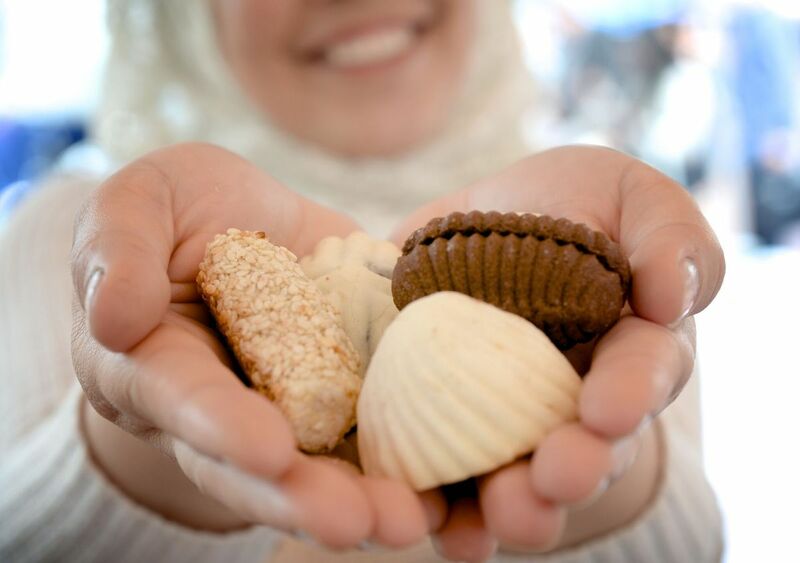 For cultural reasons, I was asked not to show Ruwaida's face, but when I asked her to hold out a selection of cookies, her infectious smile gave the image it's life, and thus the portrait. Please take a moment to read their story. 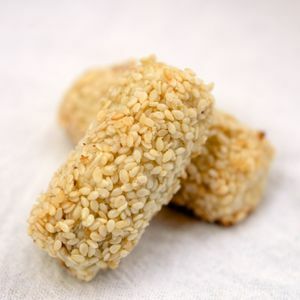 If you see their cookies for sale in a local coffee shop, give them a try! You can learn more by visiting their website. Sweet Sweet Syria has also been featured in The New York Times, Atlanta Magazine, and Chowhound.